Sawtry is a village and civil parish in Cambridgeshire, England. Sawtry lies approximately 8 miles (13 km) north of Huntingdon. 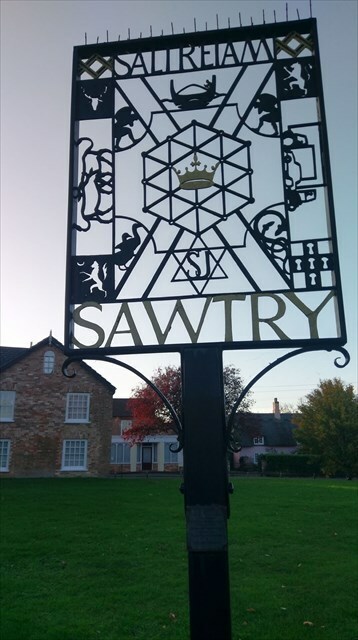 Sawtry is situated within Huntingdonshire which is a non-metropolitan district of Cambridgeshire as well as being a historic county of England. The village is home to over 6,000 people. The cache is NOT at the published coordinates, but you'll have to go there to get some info to find the cache. You will need to drive to the cache (unless you're feeling energetic) so please do not go climbing all over the sign!